Simple, yet functional, the Studio Stool is ideal for artists and crafters. The pneumatic gas lift raises the seat to a height of 23.5". 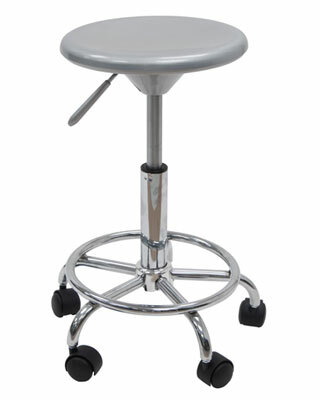 The sturdy base and footring are coated in a scratch-resistant chrome finish and includes 5 casters for mobility.